Already legends by 1953, beloved comedy duo Stan Laurel and Oliver Hardy set out to perform live shows for their adoring fans. The tour becomes a hit, but long-buried tension and Hardy’s failing health start to threaten their new act and friendship. 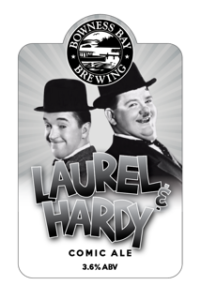 Enjoy a pint of Laurel & Hardy in our Vats Bar, a smooth light and funny ale! !